This page is a sub-page of the NY Alcos site. 1.) a reported leased Alco S2 at Fox Ridge, NY. north of Auburn. at a former Archer Daniels Midland plant. update - reported no longer there, replaced by an EMD SW9. anyone know where the S2 went? 2.) NYSEG #8, Alco S2, former LIRR 453, at Milliken station, Ludlowville. reported possibly gone to Johnson Rails, a rebuilder of S-units. Moved to Scranton PA sometime before May 2005.
on July 28, 2005. She will become WNYP (LAL) 631. Alco S1 #308 is now in Gowanda. not sure exactly when either loco moved. sent out to Falconer, from Avon, on 12/27/05. 7.) LAL 424 was also sent west to Falconer, with #430, on 12/27/05. for many years until this new assignment. 8.) WNYP 631 - MLW M630 - stored in Cohocton as of 12/31/2005. 9.) January 10, 2006 - turns out WNYP 430 and LAL 424 didnt actually make it to Falconer afterall. They headed out toward Falconer from Avon on 12/27/05, but returned to Avon later that day. a 5-unit Alco lashup headed north out Lakeville toward Rochester on the LAL! Two returned to Lakeville, and three headed west to Falconer. is heading to Greenville, PA for wheel work. LAL 421 will remain Lakeville road power for now..
LAL 424 is moving over to Falconer. 4 of the 5 units in this lashup were in LAL black and yellow, all except 421.
the actual moves take place. LAL 420 moving to the CN at Shenango for wheel truing at Greenville. WNYP 426 assigned to Meadville. LAL 424 temporarily assigned to Meadville. WNYP 430 assigned to Falconer. installed and painting is complete. LAL 420 arrived at the Bessimer's Greenville, PA shops, for wheel work. LAL 420 returns home to Lakeville. 12.) 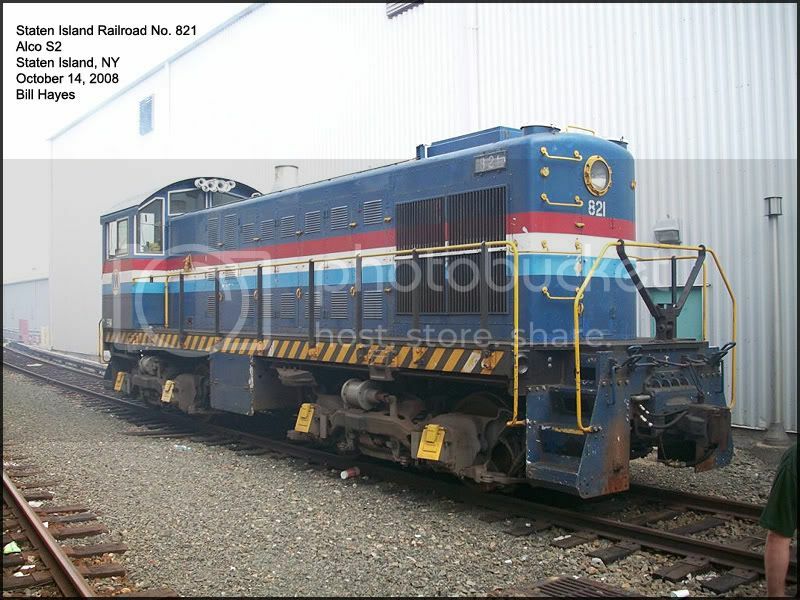 Delaware-Lackawanna Alco C420 #334 moved to the Scranton, PA shops in February, 2006. Should return to the Falls Road in Lockport after work is completed. in Lockport sometime in early 2006. Where was 1804 before? no idea..she wasnt listed on the NY Alcos 2005 list at all. Perhaps she came up from Scranton to replace C420 334 that left the Falls Road? the Medina RR museum in May 2006.
and some are currently OOS..although they might still return to service. As of June 14, only 3664, 3672 and 3674 are operating. although hopefully the four dead units may return to service. 15.) June 2006, Two of the NYCH Alco S1's leave NY state for NJ. "Some updates for your roster..
16,) June 21, 2006, LAL 421 leaves Avon bound for Falconer, with the Traveler in tow. with the Traveler, returning to Avon. 18.) 2006 - NYCH Alco S4 #11 was scrapped. 19.) LAL 433 (Former Susquehanna Alco C430 3006) is in the LAL Lakeville shop summer 2006.
being worked on for her return to service. from Brooklyn to Manhatten to go on display in a public park in lower Manhatten. painted in a NYC scheme. 23.) 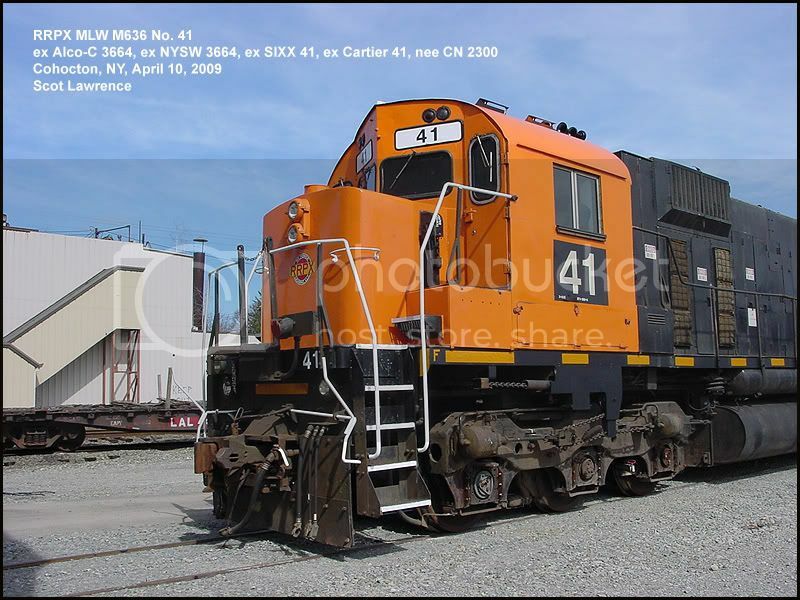 Sometime in 2006, MHWA 2453 - Alco C425 - moved to Scranton. New York state lost 5 Alcos during 2006. One scrapped, and four skipped town. have some work done on it. 26.) May 8, 2007 - Trigen ALCO S-6 #2 leaves Geneva heading back to Solvay. 27.) May 8, 2007 - NYSW M636 3666 spotted back in service. she was given a new computer. to Geneva on the FGLK, and will then be moved to Lakeville on the LAL. This is due to the sale of the ONCT to Finger Lakes Railway by LAL. LAL is keeping the 418.
as of July 9, none of the new engines are on LAL property yet. Seminole Gulf #550, and M&E units #4264, 4223, & 4228.
for reasons as yet unknown. both units have been long out of service. on the move! Moved from Jamesville to Utica on 7/12/07. 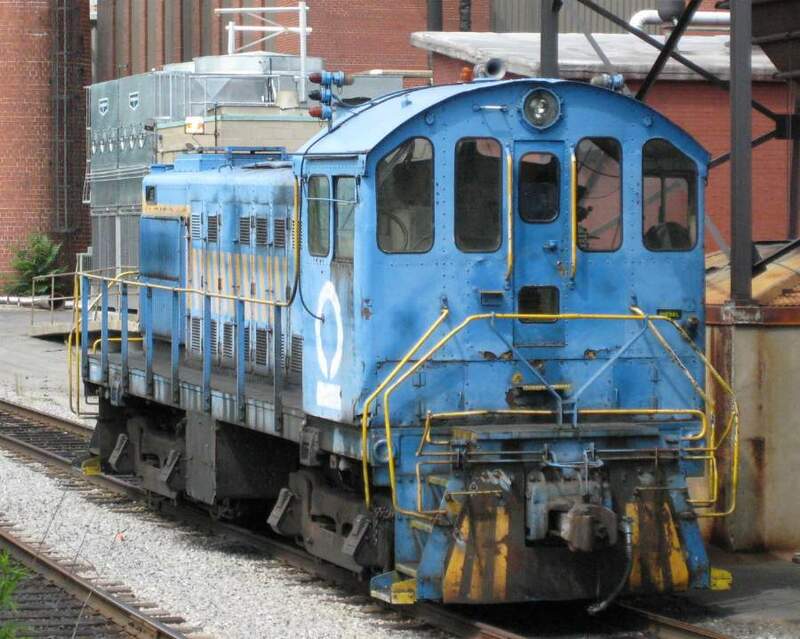 The unit, RHXS 27, has been leased to the Adirondack Scenic Railroad. 31.) July 20, 2007 - The first of the potential Thirteen new LAL Alcos arrives in Lakeville. 32.) August 1, 2007 - Rumours abound that NYSW might sell its Utica shop. over to Syracuse on August 4. The three Cartier units in Utica moved over to Syracuse, dead in tow. The other five Cartier units are in Binghamton. coming in from the East to Painted Post via NS. Alco C424 RRPX 4223 and Alco C425 WNYP 4264.
move soon to the LAL! and 3 in Syracuse. 3660, 3662, and 3674.
formally becomes WNYP 631. Number 631 is the first MLW on the roster. where many of these new LAL Alcos will be based. Before now, the WNYP enginehouse has been located in Falconer. 35.) August 2007 - LAL RS1 #20 goes into storage in Lakeville, needs wheel work. 36.) August 18, 2007 - The first of the three Cartier units arrive back in Cohocton! Former Susquehanna 3664, 3666 and 3668. all are MLW636 units. see pics here. These would be units 5,6 and 7 of the potential 13 new units. 37.) September 14, 2007 - Two more Cartier units arrive in Cohocton, 3670 and 3674. 38.) September 17, 2007 - Two more Cartier units arrive in Cohocton, 3660 and 77. That makes 7 of the 8 Cartier units back in Cohocton! Only 3672 remains in Binghamton. 39.) September 19, 2007 - RRPX 4428, a C424, arrives in Cohocton. 4228 is the last of the 13 new units joining the LAL roster in 2007! 40.) October 6, 2007 - The first of the Cartier units is back in service with the WNYP! Red & Black vs. the old Orange & Black. A total of 4 alcos moved from Cohocton to Olean on 10/6/2007. Alco S6 1044 - going to the DLW in Batavia. Alco RS32 2035 - going to the Falls Road in Lockport. S6 1044 will replace MLW RS18 1801 in Batavia. 1801 will be sent back to Scranton. lots of changes, and all for the better! to the Livonia, Avon & Lakeville. All 8 moved from Binghamton to Cohocton during the year. in Cohocton undergoing work for an eventual return to service. (it is still unknown if all 8 will return to service..the two C636's are particularly doubtful. A total of 13 new units join the LAL/WNYP during 2007! including the 8 Cartier units. most are destined for the new Olean operation. then to the Rome shop to begin some repairs so that it can go to work on the Adirondack Scenic. and is being leased to the ADCX. Much activity finally began on the "Colonie Alcos" during 2007.
is still unclear..the word "scrapping" still hangs in the air. New York State loses three "Alco locations" on the map during 2007. LAL RS36 418, moves from Victor to Lakeville. long the "Alco mecca" of the North East, with D&H alcos running into the 1980's, and Susquehanna alcos running up until 2007, Binghamton ends the year 100% alco-free. Third, Jamesville, NY, which only contained the M420TR, which has now moved to Utica. But NY state gains a new "Alco Location" on the map during 2007! Olean, NY, which becomes a new LAL/WNYP base of operations. NYSW becomes Alco-free during 2007, for the second, and probably last time. No more Susquehanna Alcos in Utica, Syracuse or Binghamton. and GVT 1044 and 2035, for the DLWR and Falls Road. No Alcos left the state or were scrapped during 2007! so the Alco population for the state increased by six units. 43.) March 2008 - Western Maryland Alco FA2 No. 302 finally escapes Colonie! West Virginia Central Railroad where restoration will begin. New York State loses one Alco, but its good news! 630 had turbo failure and now is having air compressor worked on. 421 has water pump trouble. 4264 has electrical problem with main generator. 4223 needs wheels turned at Greenville. and was in Scranton by July 25.
long-term lease from the A&M, to operate the new Ethanol plant in Fulton, NY. 32 arrived in May, and 34 arrived in August. 47.) July 2008 - WNYP 421 is back in service. 48.) July 2008 - WNYP 630 is back in service. 51.) August 23, 2008 - WNYP 631 returns to service! reported testing out of Cohocton. truck issues. Windows boarded up and stored in Hamburg. 53.) September 4, 2008 - WNYP 631 leaves Cohocton and heads over to Olean. 55.) September 5, 2008 - WNYP 631 is back in service. WNYP 636 (the former NYSW 3666) was in Olean..the other seven units remained OOS in Cochoton..In September 2008, some more return to service! 56.) September 10, 2008 - Another Cartier unit returns to operation! WNYP 638 is ex NYSW 3672, ex SIXX 75, nee Cartier 75.
recieving a new coat of paint that is more Red than the original Cartier Orange. WNYP 637 is ex NYSW 3668, ex SIXX 47, ex Cartier 47, nee CN 2312. 59.) October 10, 2008 - WNYP C430 No. 432 is back in service in Lakeville. 60.) December 16, 2008 - WNYP 4264 is back in service out of Falconer. Western Maryland Alco FA2 No. 302 finally escaped the Colonie death pit! she headed down to West Virginia to begin restoration..very good news. And DLWR RS11 1804 left Lockport and headed home to Scranton. It remains at 126 units. But there was a gain in operating units during 2008! All three refurbished in Cohocton then sent west to Olean. and LAL 432 also returns to service in Lakeville, making a total of 17 active LAL Alcos at the end of 2008, compared to only 13 active at the start of 2008.
during 2008! a good year.. 61.) 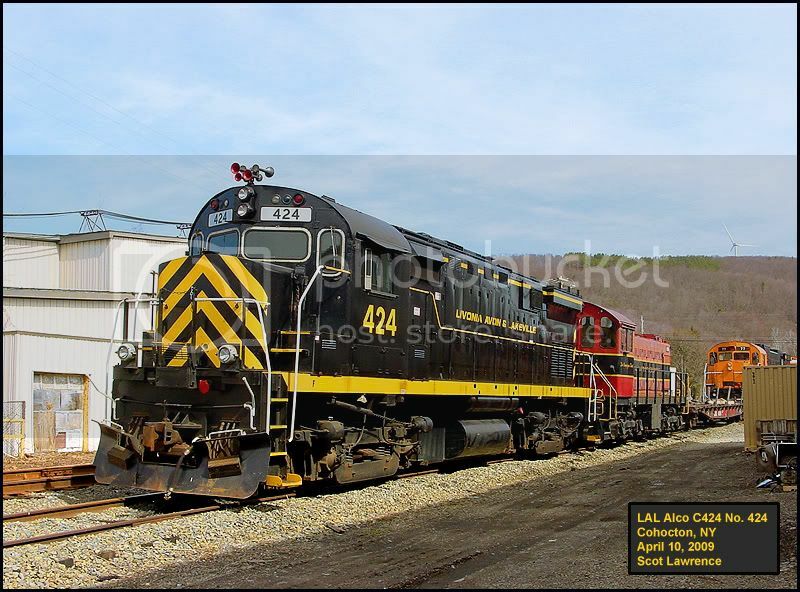 April 2009 - LAL Alco C424 Number 424 has moved from Falconer to Cohocton. to RRPX 41 in Cohocton. Olean, taking the LAL observation car "Traveler" with her. Thanks to Ron S. for alerting me to those photos. many years..Outokumpu was sold, and is now "Luvata Buffalo, Inc."
The unit is at the Sayre st. facility, and appears to be in use. 66.) July 15, 2009 - RRPX M636 number 43 leaves Cohocton and returns to work! Now making FIVE of the eight big "Cartier units" returned to service! 67.) September 1, 2009 - A re-shuffling of some Locomotive road numbers on the LAL. Some notes for your update on the above topic. This info is "official" from an inside source. The three C-424's at Lakeville: # 320, 321 and 319 HAD been assigned WNYP # 427, 428 and 429 (in that order) at one time, but that has changed. They no longer are assigned those 4xx series numbers. Unit #320 will NOT be rebuilt and placed in service. Will continue to be an organ donor for other units. #321 and #319 MAY be rebuilt at a much later date. If so, new numbers will be assigned at that time. Unit #550 will be assigned WNYP #428. Unit #4228 is OWNED by WNYP and will be renumbered WNYP 435. Unit #4223 is OWNED by WNYP and will be renumbered WNYP 434. Unit #4264 will become WNYP #427. The current management team has taken a more realistic look at the line's traffic levels and is proceeding as above. Thanks for that update Steve! Also several operating units have recieved new numbers. I have updated the main page to reflect these changes. Never officially wore those LAL numbers..they were numbers "on paper" only. enginehouse ever since they arrived in September 2002.
join the roster, the new WNYP 434 and WNYP 435.
as in C630, instead of a M designation, as in M630...All Schenectady built locos were given a "C", but MLW-built locos could have a "C" or an "M" designation, depending on the year built..
Canadian locos were labeled "C", along with their American sisters, until the end of Schenectady production in 1969. At that point, MLW production switched to the "M" designation. the unit was a parts engine that sat in Lancaster, NY on the DLWR for many years. 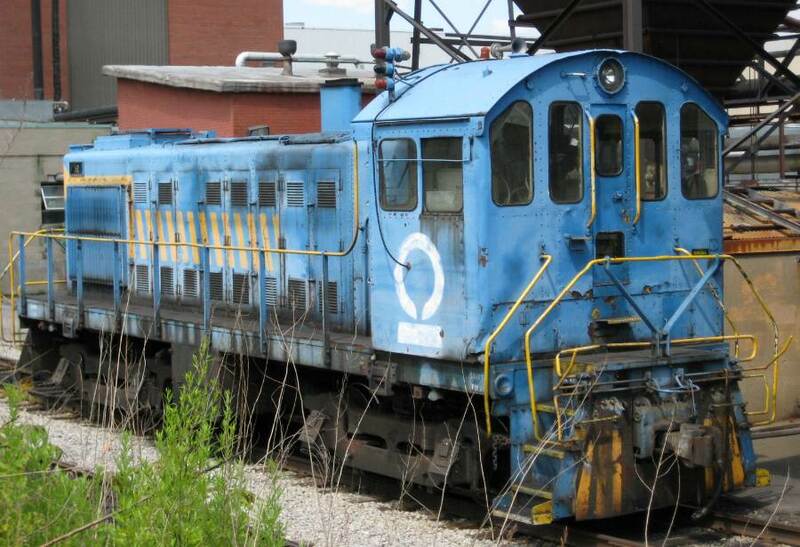 plant in Depew in 2007, and was cut up there in 2009. the nose of the unit is sitting in Lockport yard, for reasons unknown. 68.) October 2009 - from a relaible source: MHWA 2454 in Carthage, along with 642. MHWA 805 and 2456 in Utica. normal assignmant in Cohocton over to Lakeville for some work in the shop. US ARMY 618 0-6-0 1942 Schenectady 70420 Cooperstown display US ARMY 618 . A relatively "slow" year! generally things stayed about the same..which is good news! We lost DLWR Alco RS11 number 3603, which was a parts unit for many years. 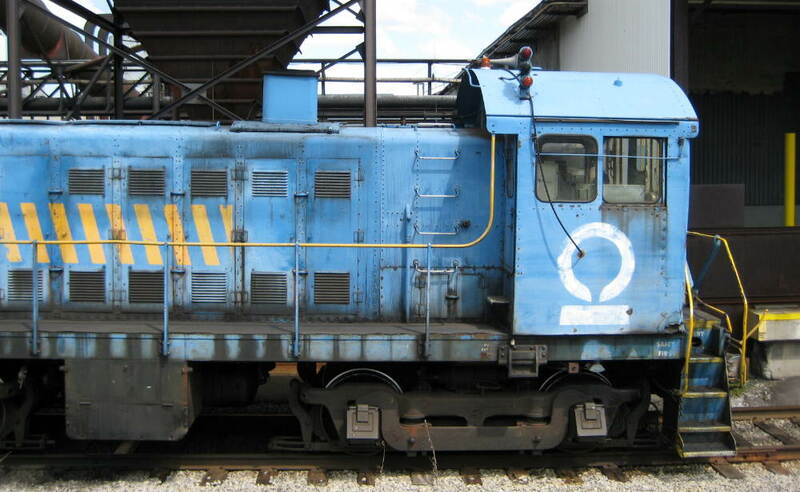 (it probably never actually operated with DLWR) the unit was scrapped in Depew. We "gained" a new Alco S3! the only one in the state! It has actually been in the state since 1978, but it was listed as a "mystery" loco in past years. we finally confirmed its existance in 2009. Two more of the big MLW's were returned to service in 2009! MLW M636 RRPX 41 in May, and sister M636 RRPX 43 in July. Both were returned to service by the LAL shop forces in Cohocton, and went to work with their siblings out on the WNYP. Making Five of the eight "Cartier units" returned to service! LAL did some number shuffling, and a few units were re-classified on this list. overall, a good year for NY Alcos! And we lost an Alco steam engine, as the 0-6-0 in Cooperstown was sold and left the state. 71.) February 1, 2010 - LAL units are spotted with new 45th anniversary decals applied! So far, LAL 418, 420, 423, 424, and 425 have the new Anniversary logos. in an unusual "both cabs inward" configuration. 73.) March 22, 2010 - WNYP Alco C430 No. 430 is reported OOS with a bad traction motor. 74.) May 2010 - The big MLW C630M, No. 2028, photo, is scrapped in Cohocton. This unit arrived at the B&H/LAL shops in Cohocton "for evaluation" on January 22, 2010. 2028, and the remains were scrapped in Cohocton in May. nee Canadian National 2028 - built March 1968.
brought to Cohocton, NY, for parts, in January 2010.
by truck to its new home, the Catskill Mountain Railroad in Mount Tremper, NY. She is now the new CMRR No. 407. She arrived May 6, 2010.
trucked to its new home, the Upper Hudson River Railroad, in North Creek, NY. SIRT 407 Alco S1 .. .. Clifton, Staten Island OOS ex - LIRR ..
SIRT 821 Alco S2 .. .. Clifton, Staten Island OOS ex- US Army 821 .. This leaves no Alcos on Staten Island! but neither is leaving NY state! which is good news..both 407 and 821 will likely be used in excursion service by their new owners. I will remove staten Island from the map, and add Mount Tremper! I had never heard of this locomotive before! anyone know the story? and why isnt she in Gowanda? 77.) September 2010 - JRWX 111, a leased Alco S4, arrives at the Suez powerplant in Solvay. 79.) 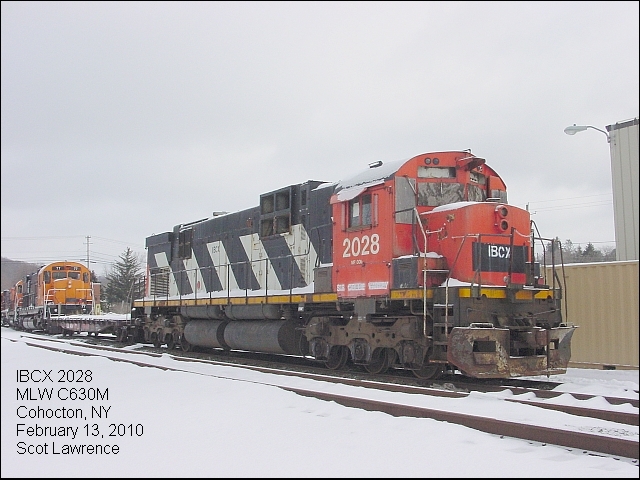 November 2010 - RRPX 2338, ex CN 2338, a MLW M636, arrives on the WNYP in Olean. No. 1845, a MLW RS18u, arrives in Utica. 2010 was a busy year! 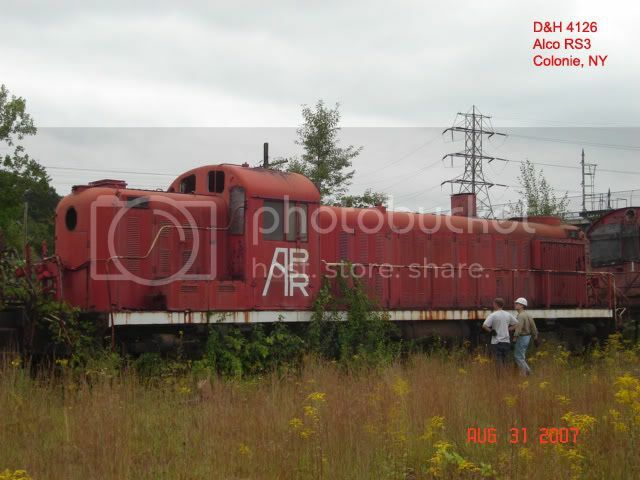 Sadly, one Alco was scrapped in NY state during 2010, MLW C630M 2028, scrapped in Cohocton. and her parts are being used to keep the other WNYP MLW's alive. Two Alcos migrated to new homes in 2010! The two Staten Island locomotives. SIRT 407 is now Catskill Mountain Railroad 401. SIRT 821 is now Upper Hudson River Railroad 821. And three new Alcos came into NY from the outside! and all three are (or will be soon) operating locomotives. Alco S4 - JRWX 111 - at the powerplant in Solvay. MLW M636 - RRPX 2338 - with the WNYP in Olean. MLW RS18u - ADIX 1845 - with the Adirondack Scenic in Utica. The New York State Alco population increases by three units, from 126 to 129 units. arrives in Utica in March 2011. She is the ex CP 1835. She will join sister unit 1845. 84.) April 2011 - The Upper Hudson River Railway ran its last excursions in 2010, and ceased to exist on December 31, 2010, when their lease ran out, and was not renewed. The UHRR existed for 12 seasons, 1999 to 2010.. A new operator is taking over the line in 2011, the Saratoga & North Creek. The S&NC begins service July 23, 2011..the three UHRR Alcos are not being used for the new service, and are stored at North Creek. 85.) May 2011 - Adirondack 1845 (MLW RS18u) recieves a sharp new Black & Green paintscheme. 86.) June 2011 - RRPX 85 is back in Olean. 431 out of service---92 day inspection. 4264 Turbo failure. Replacement turbo on order. 631 prime mover damage, under evaluation. possible piston head, connecting rod and/or ingested valve. 636 main alternator replacement. Replacement on hand, not a high priority. 638 traction motor replacement. Replacement on hand. RRPX 2338 Long term OOS. No current plans for restoration. 88.) June 14, 2011 - WNYP 4228 is listedin service, in Meadville on the WNYP. 89.) June 25, 2011 - LAL 423 is listed OOS for wheel work. 90.) June 25, 2011 - WNYP 631 is listed OOS with "major engine failure"
91.) Note on WNYP units 427, 434 and 435. These three units had their numbers changed "on paper" back in August 2009. However, in July 2011, nearly 2 years later, none of the 3 units have yet been renumbured! WNYP Alco C425 No. 4264 (427) is in service in Meadville. WNYP MLW C424m No. 4223 (434) is "long term OOS, no current plans for restoration"
WNYP MLW C424m No. 4228 (425) is in service in Falconer. 92.) July 18, 2011 - WNYP 428 is out of the shop, and begins service on the LAL. still in CP red paint for now. 94.) St. Lawrence Alco S4 in Norfolk NY was scrapped sometime in 2011.
and moved to Lenox, MA in 2011. Independant Cement #5 Alco RS3 .. .. Cementon Stored . nee Birmingham Southern 151. Rochester, still in Seminole Gulf Blue, and may remain on the LAL. 97.) January 2012 - LAL 423 is back in service on the B&H in Cohocton. stripped of parts for many years, and the remains were finally scrapped in March 2012. .Locomotive. Type .Year Built. .Builders #. .Current location. 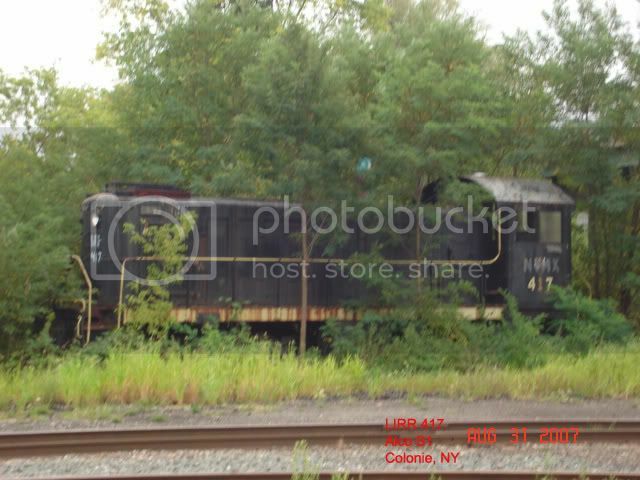 Status Heritage ..Photo..
62 Alco S2 76572 Gowanda parts unit - derelict ex Falls Creek 62, exx Mercersburg RR 2, nee LIRR 452 . MLW RS18u, nee CP 8761, CP 1811, Owego & Harford 1811, to B&H 416. MLW RS18u, nee CP 873, CP 1850, Cayuga Rail Leasing 1850, to WNYP 417.
the Delaware-Lackawanna and leaves the Adirondacks for Scranton, PA, to become DL 2403. 101.) June 2012 - Both RS18u's are in Olean on the WNYP. 102.) June 2012 - LAL 428 has been repainted into the full LAL scheme. the first unit to recieve a silver roof instead of a black roof. 103.) October 26, 2012 - WNYP 417 is spotted in new primer. 104.) 2012 - the two A&M Alcos left Fultonville. .Fulton, leased to Ethanol plant. 105.) 2012 - at some point in 2012 RHXS 27, the MLW M420TR, moved from Rome to Utica. The unit is for sale. One "Alco location" was removed from the map..Owego no longer has any Alcos. yellow paint, but without full markings yet. property. They were sold to the George's Creek Railway of Maryland. , nee SP 1064 . Suez Plant #2 (formerly Trigen) Alco S6 . .
nee South Buffalo 42(2nd) . 108.) October 2013 - at some point in 2013 WNYP 4223 was moved to Olean for storage. 4223 was assigned the number WNYP 434 "on paper" but she still wears number 4223 while stored. it's now possible she will never operate with number 434. 4223 might end up a parts unit. 109.) November 2013 - D&H Alco RS3 4082 is scrapped in Colonie. 110.) January 2014 - BSOR 84 and 107 are moved from Eden to Hamburg. 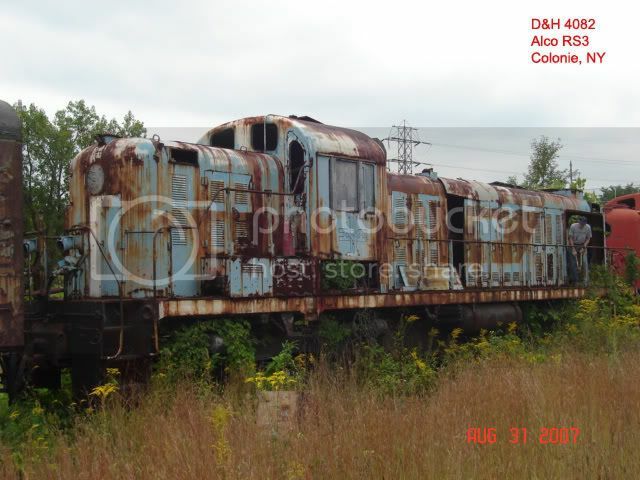 scrapped in Wellsboro PA August 2014. Originally Washington Terminal No. 47. Originally Washington Terminal No. 62. There were Five Alcos on the Tioga Central in Wellsboro PA from 1994 to 2014. Alco S2, TIOC 14. - now LAL 14. Originally Buffalo Creek No. 46. Sold to the Livonia Avon and Lakeville, who plans to return the unit to service. Moved to Cohocton NY in late 2014. Rebuilt by the D&H into a RS3m in 1975, was the D&H Bicentennial unit. Moved to Olean NY in October 2014. Still wearing her D&H Bicentennial paintscheme as of January 2015, but will likely be repainted. see section above for details. are removed from the map. 113.) ADIX 1835 was previously incorrectly listed as 1843, correction made Jan 2015. 114.) Alco S2, Ex Albany Port RR, nee D&H 3011, is scrapped in Colonie. 115.) January 2015 - The two Alco C636 Demonstrators were scrapped in Cohocton. technically they were never owned by the LAL. They were the only Alco C636's in the state. 3660 Alco C636 .1968 .. Cohocton . ex NYSW 3660, ex RRPX 78, ex Cartier 78, exx-MK 5402, nee Alco 636-2 (Alco demo!) . 116.) January 2015 - Two C424m parts units are scrapped by the LAL in Lakeville. these two units had been stored on the property for over a decade. 117.) In February 2016 to formerly leased units were purchased, and added to the official WNYP roster. 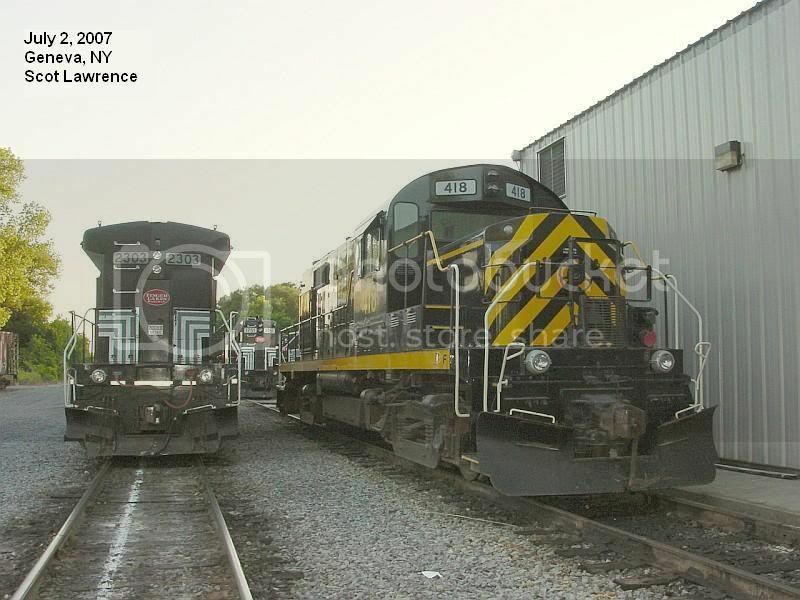 A photo was posted at www.trainorders.com, taken in Olean that showed RRPX 85 had been renumbured to WNYP 685. It's interesting that WNYP chose to number the unit in the 68x series! (the first unit in this series) rather than the already existing 63x series, which all the other former Cartier units occupy. (and there is still room for more units in that series) the new number 685 clearly came from the old number of 85. Also, at the same time, the former RRPX 43 was renumbured to WNYP 643. The two units were moved from the "WNYP leased units" catagory in this list, into the main LAL roster. Increasing the total LAL/B&H/WNYP locomotive roster from 30 to 32 units. 118.) On June 6, 2016, WNYP RS3m 406 was unveiled! the former D&H and Tioga Central 506.
click here: http://www.railroad.net/forums/viewtopic.php?f=113 for photos. 119.) It was confirmed on the WNYP shop tour on June 6 that WNYP 4223 is now a parts unit. She was assigned the number WNYP 434 "on paper", but it's now likely she will never actually wear that number. 4223 is providing parts for WNYP 430, and other locomotives. 120.) December 13, 2016 - LAL 433 is spotted in fresh LAL paint! Finally out of her older NYSW yellowjacket paint. She is on Type-B trucks temporarily! Probably "shop trucks" while her original Hi-Ad trucks are being worked on. When she later returns to active service out on the road in 2017, she will be wearing the Hi-Ad trucks. 121.) June 7, 2017 - LAL 433, Alco C430, is returned to service! Painted in LAL corporate paint and lettered for the Livonia Avon & Lakeville, she working out on the road on the LAL. 122.) Summer 2017 - WNYP 435 is repainted from her previous red, into new corporate paint. Colonie is removed from the map, and the NY Alco count drops from 117 to 115 units.